Contrary to popular belief, all paternity tests are not the same, nor are the companies offering them. Paternity Depot and DDC DNA Diagnostics Center are both top-quality DNA testing providers, but one will always be a better choice, depending on your particular needs. 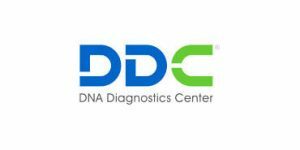 Our comparison between Paternity Depot and DDC DNA Diagnostics Center will provide you with a proper insight into the intricacies of both companies and identify the clear-cut choice for your situation. Just make sure you properly formulate your intention for going into paternity testing and our comprehensive list of facts will do the rest. With the information provided, the final choice will be made much easier and more evident. Paternity Depot is the most budget-friendly provider of DNA relationship testing solutions. Apart from paternity testing, the company also offers other genetic proof of biological relationships.